The Cormac tan dresser finds its inspiration in the call of the wild making it the perfect addition to your nature-themed nursery room. 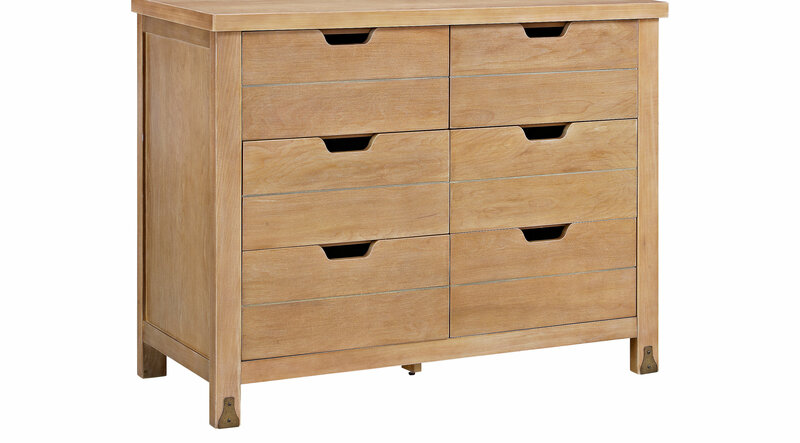 Crafted with a natural tan finish, this rustic modern dresser features six spacious drawers with open finger pulls, and a large mantel top. Eye-catching antique brass metal decor plates highlight both the front feet adding the perfect finishing touch. Bring the outdoors in by combining the Cormac tan dresser with the Cormac tan crib. Crib sold separately.